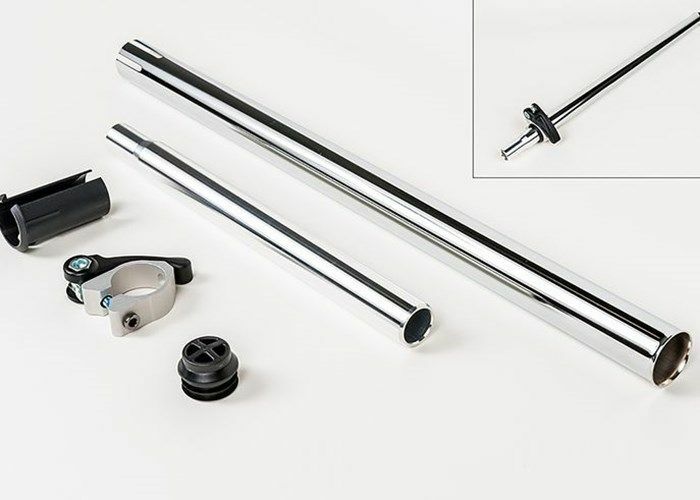 Brompton Telescopic seat post (pillar) with quick release lever. Lower section is steel, upper section is aluminum. 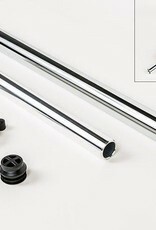 At full extension telescopic post is 4.5" longer than extended seatpost and 6.75" longer than standard seatpost.